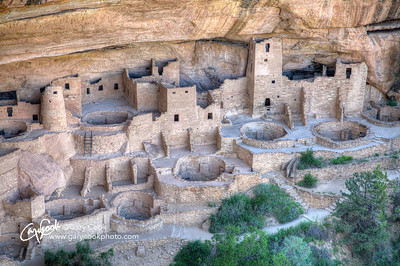 Kiva, Mesa Verde national park, in the extreme southwest of Colorado. Just before this shot was taken, a bunch of screaming kids were charging around kicking up all kinds of choking dust. But as they left, and just before their parents descended the ladder, I realized what a favor they had done for me. 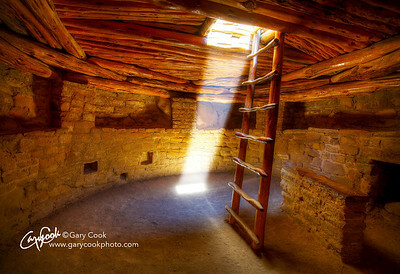 I had one chance to capture the golden light and extreme contrast of the sun ray before the light was obscured again by more visitors descending the ladder. I held my breath (in part to prevent me coughing!) and opened the camera shutter. A second later and this image was gone. For all you equestrian enthusiasts out there. A cold, cold morning on the plains close to Bryce Canyon, in southern Utah. 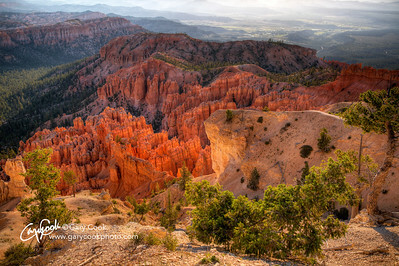 Another dawn view from the rim at Bryce Canyon. 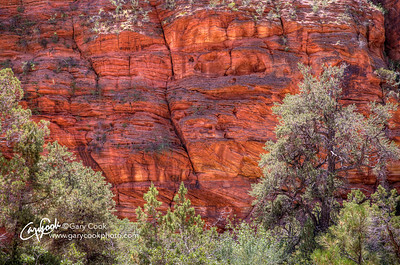 The light reflecting back from the Canyon walls produces the most amazing crimson colored glow on the hoodoos. It really does look like this; nothing like it anywhere else on Earth. 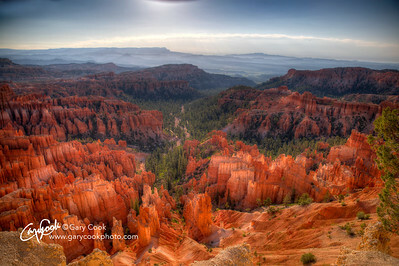 Dawn at Bryce Canyon, southern Utah. 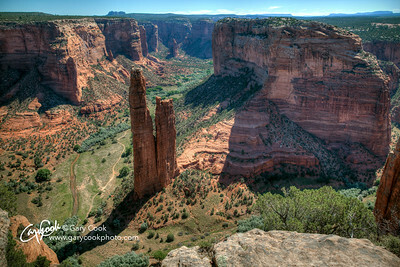 Spider Rock, Canyon de Chelly, AZ. 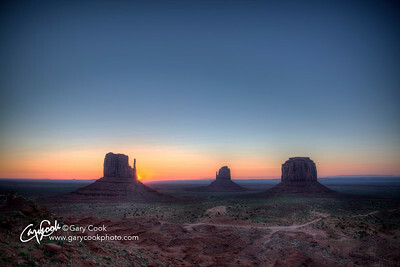 This is one one my favorite places out West. 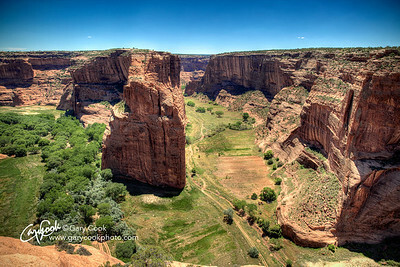 Canyon de Chelly is a beautiful, utterly tranquil Canyon with an atmosphere unique to itself. I always lose track of time here and there is something magical about the place, its environment and the Navajo people who inhabit the region. Birds flock to the Canyon reminding me that the wildlife also recognizes the beauty and uniqueness of this area. 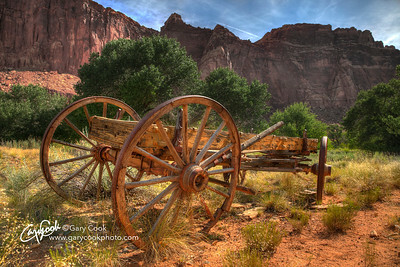 Spider Rock is a natural focal point for the Canyon and I can sit here for hours taking in the view. 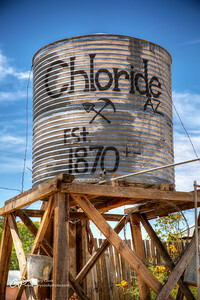 Chloride, Arizona. 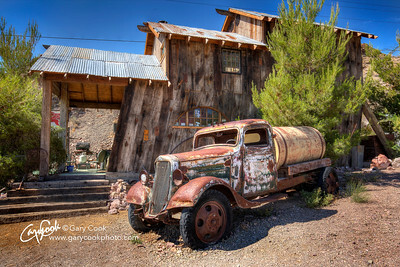 This quaint little town, well off the beaten track in Arizona, was once home to more than 5000 people. Today its inhabitants number less than 400 people, but it is the oldest continuously inhabited mining town in the state. 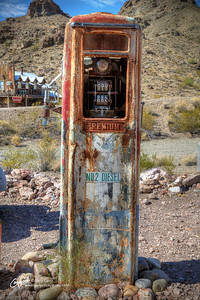 The town is beautifully quiet and is filled with mining memorabilia and the sound of birdsong. 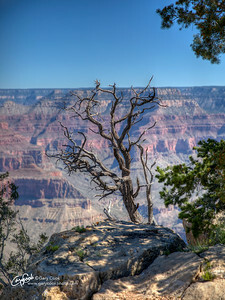 My favorite tree at the Grand Canyon, on the south rim, a few miles from the visitor center. 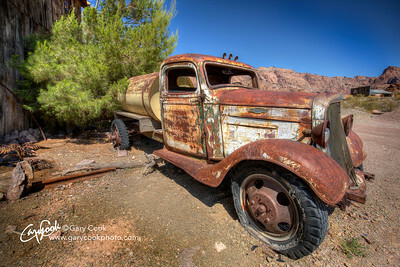 Located next to the small town of Nelson, the ghost town of Eldorado Canyon is nestled amongst the small valleys of southern Nevada. Just 45 minutes drive south from the hustle and bustle of the Las Vegas Strip, this is a world away from the glitz and lights of the city. 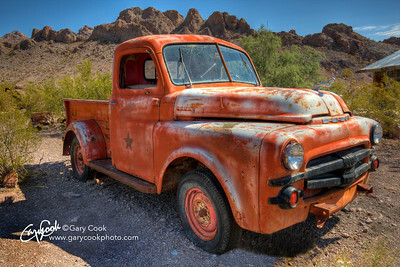 The "town" is an extraordinary collection of abandoned vehicles, old barns, sheds, a water tower, and unbelievable charm. 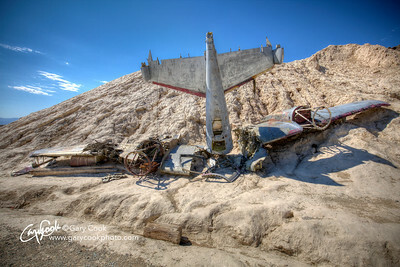 It's a photographer's paradise and filled with arresting images in every direction. 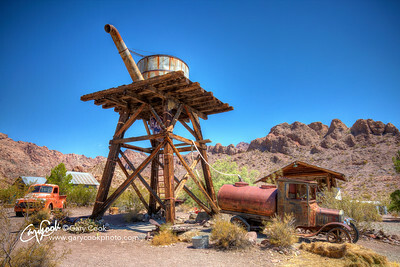 The historical Techatticup Mine is the oldest and most famous gold mine in southern Nevada and tours are available deep into the cool earth; very welcome after hours of photography in the mid day Nevada sun! 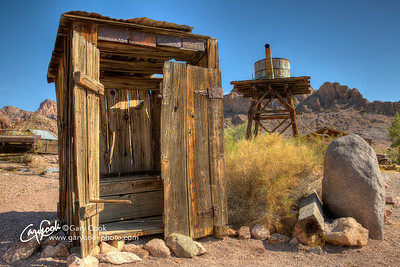 This is another view of part of the Eldorado Canyon Ghost Town. 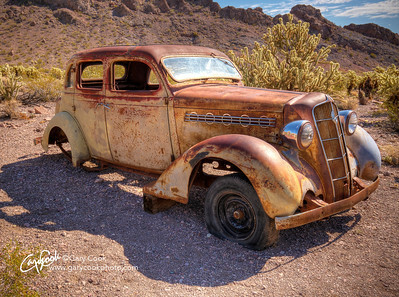 Located next to the small town of Nelson, the ghost town of Eldorado Canyon is nestled amongst the small valleys of southern Nevada. Just 45 minutes drive south from the hustle and bustle of the Las Vegas Strip, this is a world away from the glitz and lights of the city. 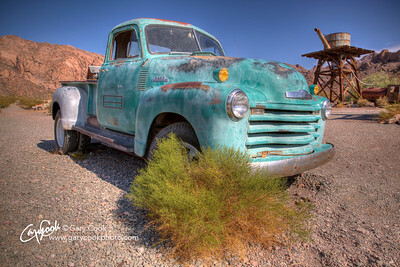 The "town" is an extraordinary collection of abandoned vehicles, old barns, sheds, a water tower, and unbelievable charm. 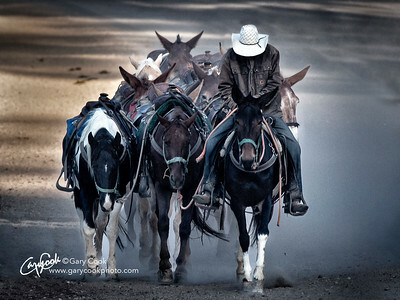 It's a photographer's paradise and filled with arresting images in every direction. 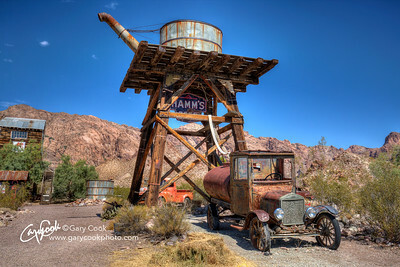 The historical Techatticup Mine is the oldest and most famous gold mine in southern Nevada and tours are available deep into the cool earth; very welcome after hours of photography in the mid day Nevada sun! 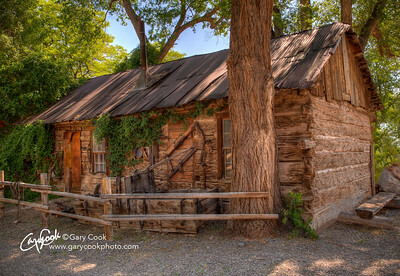 This is a beautifully made pioneer cabin, located adjacent to the Chuckwagon Hotel in the little town of Torrey, southern Utah. The cabin probably dates back to the time of the early settlers who first arrived in Torrey in the late 1800's to the early 1900's. 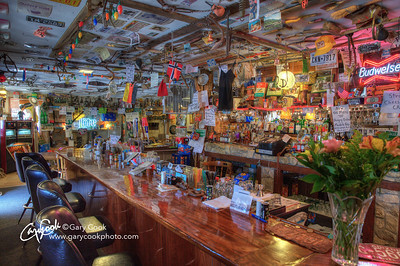 The cabin has obviously been updated over the years (tin roof, for example), but it is still in use today. 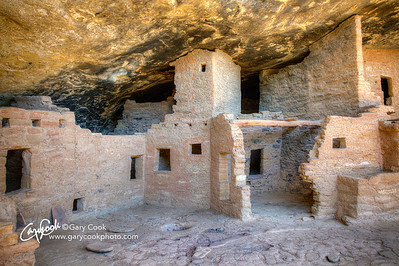 The tool marks left by the original maker in the hand hewn logs are visible to this day. 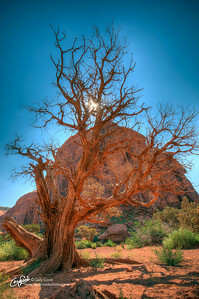 Zion National Park, southern Utah. One of the most beautiful and dramatic of all our National Parks, this immense valley was carved out over millennia by the north fork of the Virgin River. The aptly named river is usually a crystal clear oasis tumbling gently through the valley and it's hard to imagine the erosive forces unleashed over eons of time. But the area is prove to flash floods of biblical proportions and then it's much easier to imagine how this beautiful valley was formed. Standing at one end on a summer morning it's easy to believe you can see forever. 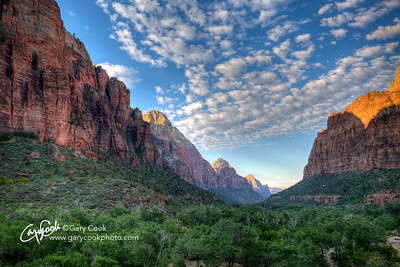 This is the view as you approach the start of the Narrows Canyon that winds its way back into the mountains at the head of the great valley in Zion National Park. 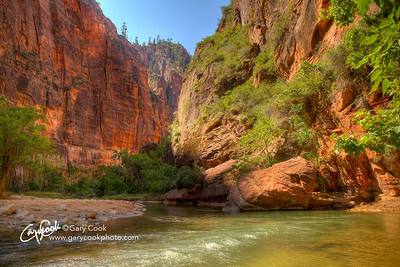 The Virgin River is crystal clear and cool and together with the deep shadows in the Narrows provides welcome relief for a hike on a summer’s day in Utah. What a beautiful place! This is the start of the Narrows Canyon that winds its way back into the mountains at the head of the great valley in Zion National Park. 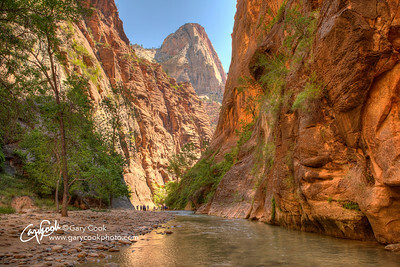 The Virgin River is crystal clear and cool and together with the deep shadows in the Narrows provides welcome relief for a hike on a summer’s day in Utah. What a beautiful place! As I sit here, looking out of the window on a gray, dreary day with the remnants of yet another ice storm melting from the trees, I’m anxious to recall summer memories. 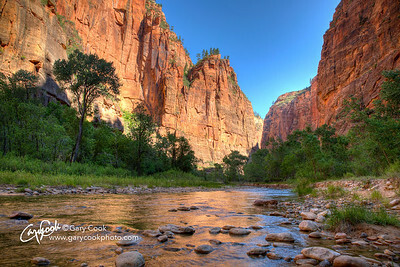 This image was taken on a sparkling summer’s day just inside the Narrows at the top end of Zion Valley in Utah. The pristine Virgin River cooling my feet while I took the shot. If ever a place deserved to be called Heaven on Earth, this is it.